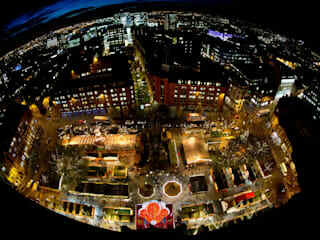 The Christmas Markets have had the opportunity to expand to the new, as yet uncharted sites for 2014. An expansion to Cathedral Gardens is the new home of the beautifully crafted, 16m high windmill - and sitting within the beautiful setting beneath the iconic National Football Museum and the medieval cathedral, this new site is the perfect place to sip a warming gluhwein. The new Market Street site complements the neighbouring high street shops with 28 stalls selling quality arts and crafts, along with superb Christmas gift ideas - marrying the ethos of independent traders with high street favourites beautifully. 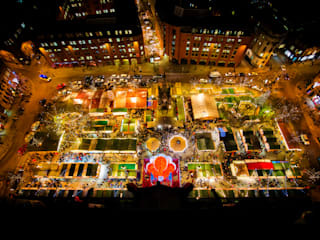 St Ann's Square - the original market site - is the traditional German heart of Manchester's Christmas Markets, while the French Market returns to King Street. Both sites have proved popular in past years with market's nocturnal clientele and embody the open air culture of the continent. 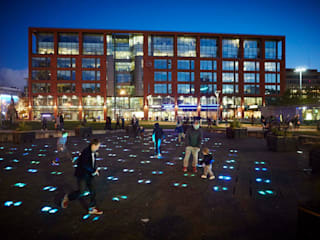 Finally, Albert Square is once again be presided over by the much loved giant LED lit Santa. Strolling around the market, overlooked by Manchester's Victorian town hall, shoppers are transported in to Dickensian Britain and into a scene from A Christmas Carol.